What made you decide to become a workshop manager? I’ve always had a keen interest in cars, because my brother had been in the trade and so I started working in the motor industry right after school. It was Annemarie at Hatfield, where I previously worked, who suggested it to me… I asked her if there was anything else that I could still learn, because by that time I’ve already worked as a booking clerk, service advisor, warranty clerk, and in the parts department, so she enrolled me in the internal CMH cadet training to become a workshop manager. I’m a people’s person, I love building relationships and bonding with people. I always put my clients first and they truly are very important to me. To recognise my clients, to bond with them, seeing them come back for their next service and staying loyal to our dealership, it really gives me that heart-warming feeling. 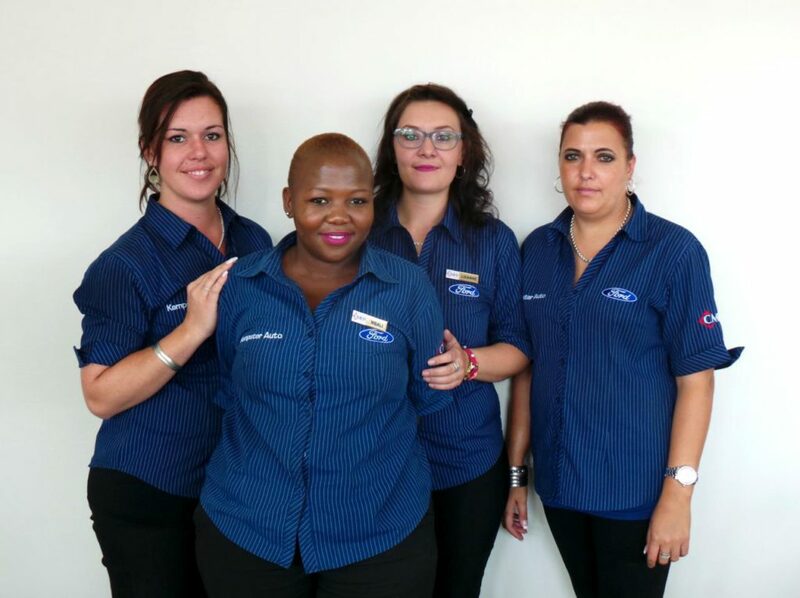 What is your mission and vision for our workshop here at CMH Ford Pretoria North? My goal is to become a prime dealer. I really want this workshop to become the best and I want the staff members to be passionate, proud and ambitious about their work, and for us to really strive towards excellence. Have you ever felt like you should just give up, or has anyone pressured you to try something else other than working in a traditionally male-dominated industry? No, nobody ever told me to do something else. Everyone sometimes hesitates in life, but luckily I have my team and top technicians to assist me, each one of us has a role and a gap to fill and together we are one solid team. I also have my family who keeps on supporting me and most of them are in the motor industry so there is no chance of giving up! How does it feel to be among only a handful of women in the industry? It’s definitely a “WOW!” feeling. I think it’s fantastic that the head office of CMH actually promotes it. I believe we live in a world where times are changing and anyone can follow their dreams, it doesn’t matter who you are. I also worked for a female workshop manager, Jeanette, and I believe she is one of the best! Have there been any times when you have been questioned or ignored in your job just because you are a woman? Yes, I’ve experienced it before, but I won’t get offended in that kind of situations. I want my clients to be comfortable, happy, and for them to trust us, that is what service is all about at the end of the day. What words of advice can you give to women-up-and-comers in the industry? The women in the motor industry need to be “tough cookies”. 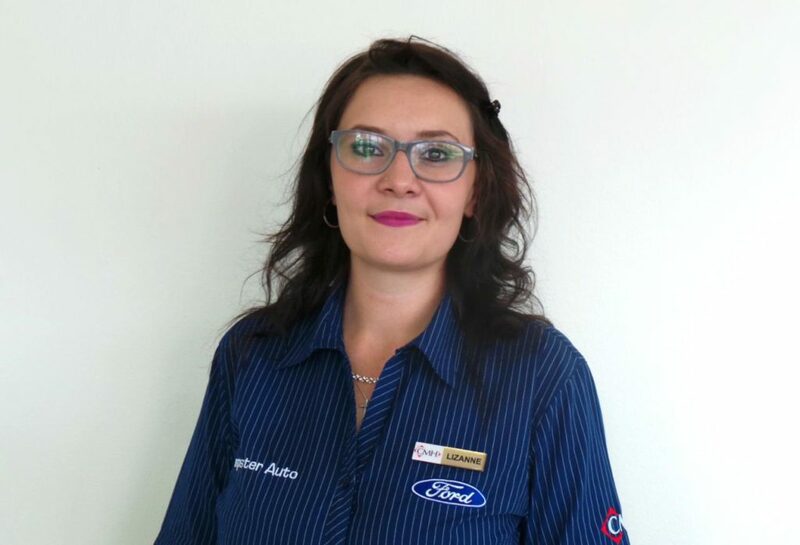 If you look around in the dealerships you will notice that it is becoming more and more common to see woman working in this industry nowadays simply, because we can! Don’t ever give up, believe in yourself and don’t let anyone ever make you feel that you are not good enough.